Home monitoring your Blood Pressure is a useful way to track changes on your own without the need to visit a health practitioner. This accessibility allows you to get more accurate results, especially in individuals who experience ‘White Coat Hypertension’ which is a common effect seen by increased blood pressure readings when taken in a clinical setting. 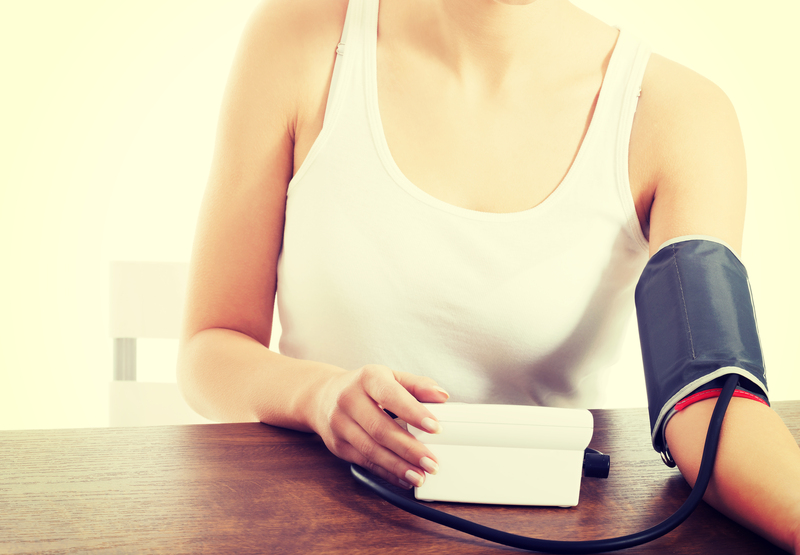 Home monitoring is especially useful for individuals with high blood pressure, or with high risk for high blood pressure but it helpful for everyone to get a snapshot into their overall health status. Keeping a record of readings taken over time provides a ‘time-lapse’ picture of your blood pressure which provides a true picture of your blood pressure and allows you to track your progress when following our programme to reduce high blood pressure. For instructions on how to use your OMRON EVOLV Home Blood Pressure Monitor please see the user manual found in the device box. 1. Prepare: Do not smoke, drink caffeinated beverages, alcohol or exercise 30 minutes prior to taking your measurement. It can also be useful to empty your bladder and have 5 minutes of quiet rest before taking your measurement to avoid other factors effecting readings. 2. Sit Correctly: Sit on a chair with your back straight and both feet flat on the floor. Your left arm should be supported on a flat surface (such as a table) with the upper arm at heart level. The cuff should be placed on the upper arm with the bottom of the cuff placed directly above the bend of the elbow. Always check your monitor’s instructions for an illustration or any additional requirements. 3. Use your Left Arm: It’s best to take measurements on your left arm, but whichever you do measure on make sure to be consistent. It is usual to have a difference in pressure between arms, several studies have been done to determine what is considered normal variation between right and left arm measurements. In general, any difference of 10 mmHg or less is considered normal. 4. Measure at the Same Time: It’s important to take measurements at the same time each day so that external factors are less likely to have an effect on individual readings. It’s a good idea to take readings in the morning and the evening to get a full picture. Find a time that is best for you e.g. just before breakfast. 5. Take Multiple Readings: Each time you measure, take two or three readings about one minute apart from each other. This is useful to identify unusual readings. Often your first reading may not be a true measurement due to not being completely settled and taking a ‘trial’ measurement can help you get familiar with the cuff again. 6. Do not Measure over Clothes: To get reliable readings make sure to put the cuff directly on the arm and not to measure over any clothes.